Ashley Glynn was raised in Fort Myers, she is a Fort Myers High school grad and also attended Florida Gulf Coast University where she obtained her Bachelors of Science and Masters in Business Administration. Ashley is a former college volleyball player for the Eagles, playing in their inaugural seasons 2005-2010. She joined Blue Chip Financial of Southwest Florida as a founding member in November of 2014 as a Financial Advisor. She started in the financial services industry upon completion of her MBA in 2011 with Northwestern Mutual. At Northwestern Mutual as the College Unit Director she was successfully able to recruit and educate college interns on the Financial Services Industry – mentoring the students for the opportunities in front of them post-graduation. Ashley holds her FINRA Series 6, 63, and 65 along with her Life, Health, and Variable Insurance licenses. Her focus is on building lifelong relationships with her clients, they share their personal goals and aspirations for retirement, their business, and family with her. She then works to combine their feelings with the facts to help create a tax efficient plan. Along the way, she is conscious of protecting assets and properly transferring the assets into income towards retirement. Ashley sees her job as being the advocate for her client’s family, retirement, business, and portfolio. Ashley is also an active member in the Junior League of Fort Myers. This year she is serving as Co-Chair of the Literacy Outreach Committee. She is a United Way Reading Pal, where the goal is to provide kids with the opportunity to have books in their home and partners in the community who spend time reading with them consistently throughout the year. 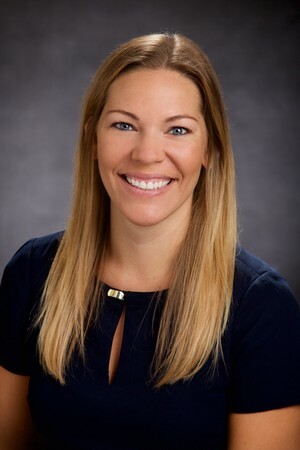 She also serves on the Leadership NEXT committee which is a group of advancing professionals actively pursuing quality programs and business connections to further advance their careers. In Ashley’s free time she enjoys Orange Theory Fitness, vacationing, and relaxing with her family. Ashley and Ryan, who is also a partner at Blue Chip Financial welcomed thier son Easton in September 2017. Ashley is licensed to conduct insurance and securities business in Florida, Georgia, Texas, Pennsylvania, Michigan and Massachusetts.